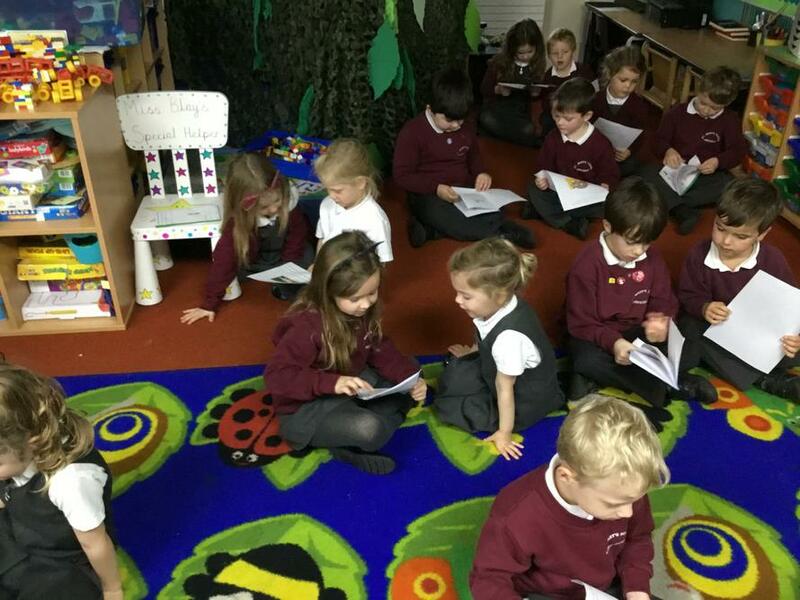 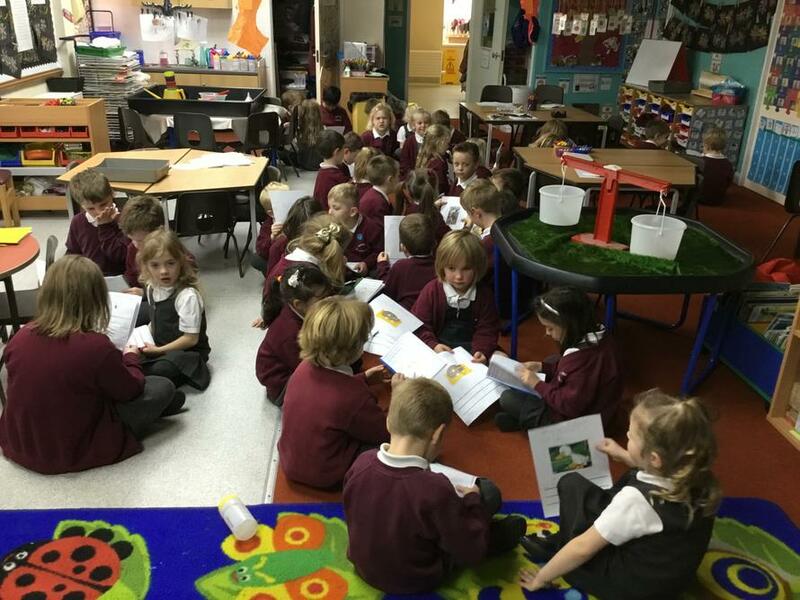 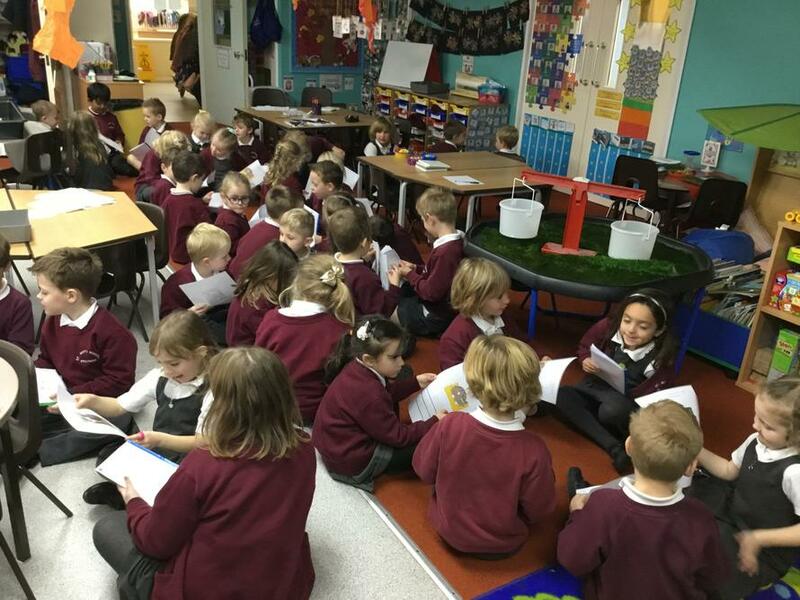 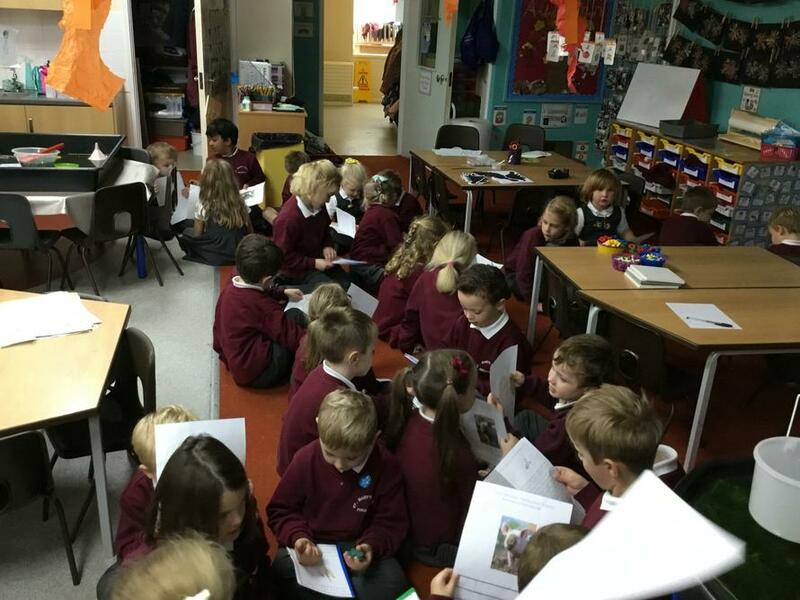 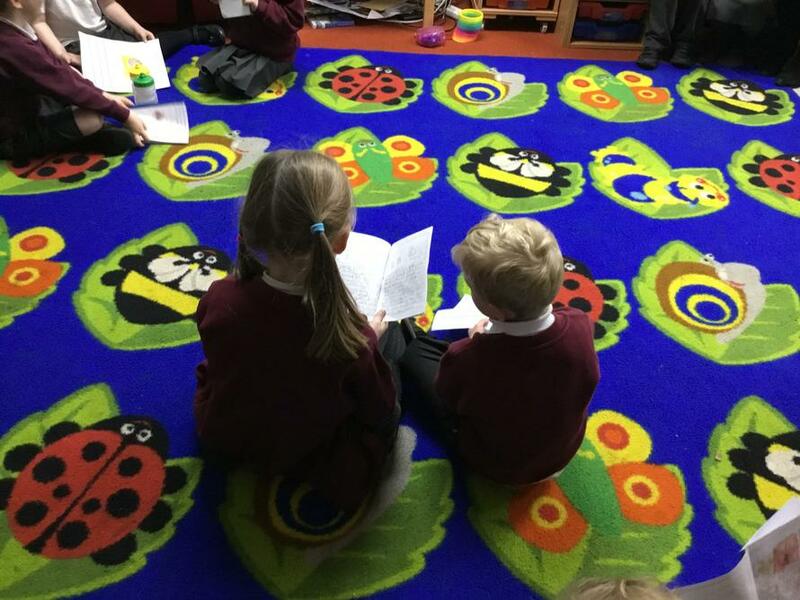 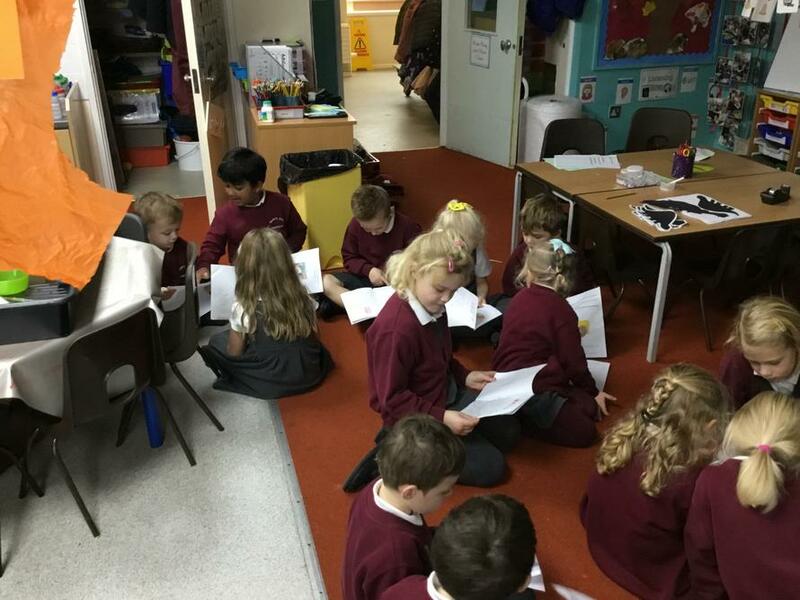 We invited Orange Class to come and see us this afternoon because we wanted to share with them our first ever piece of independent writing that we worked hard on this week. 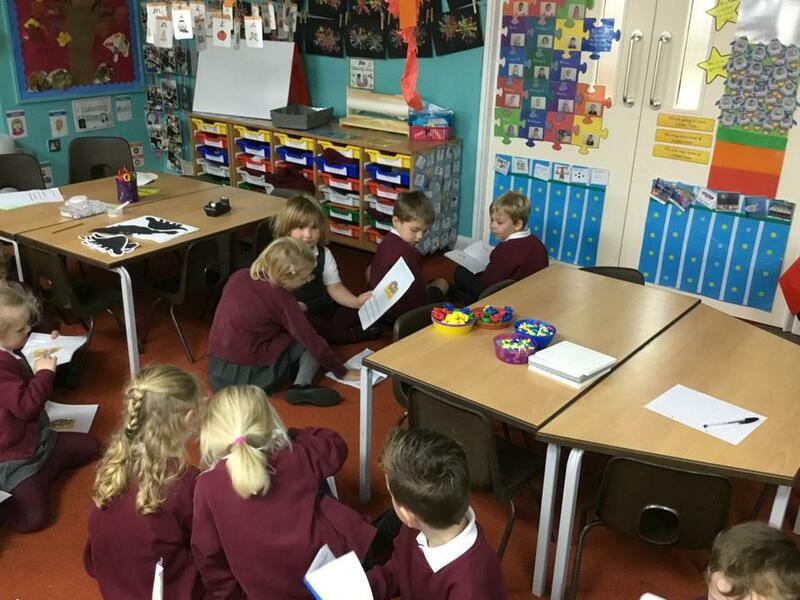 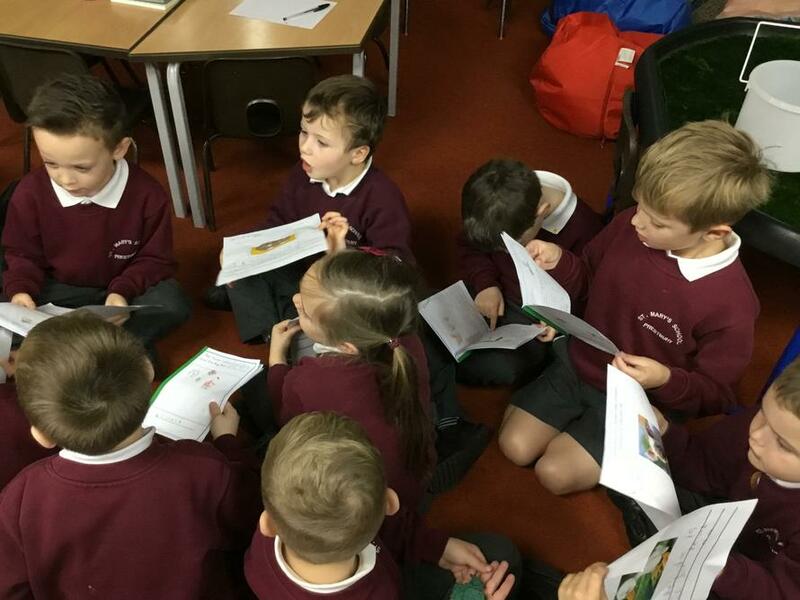 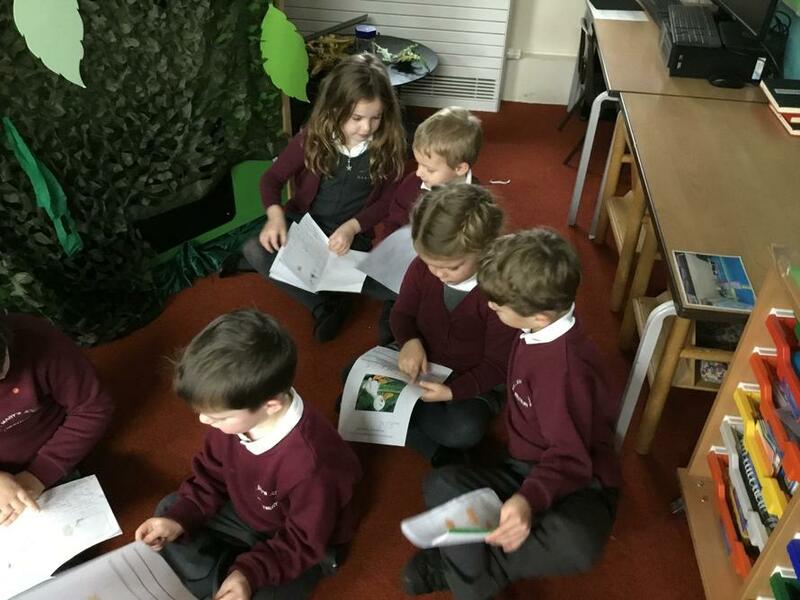 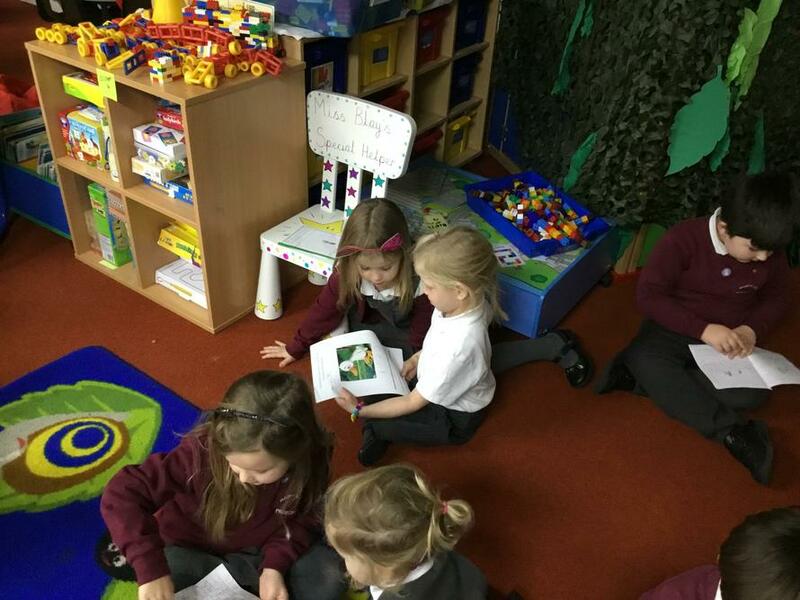 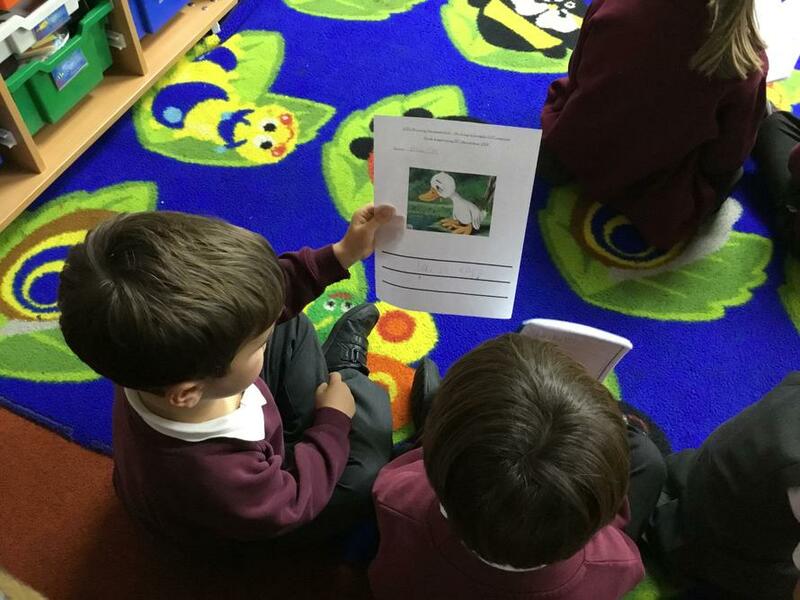 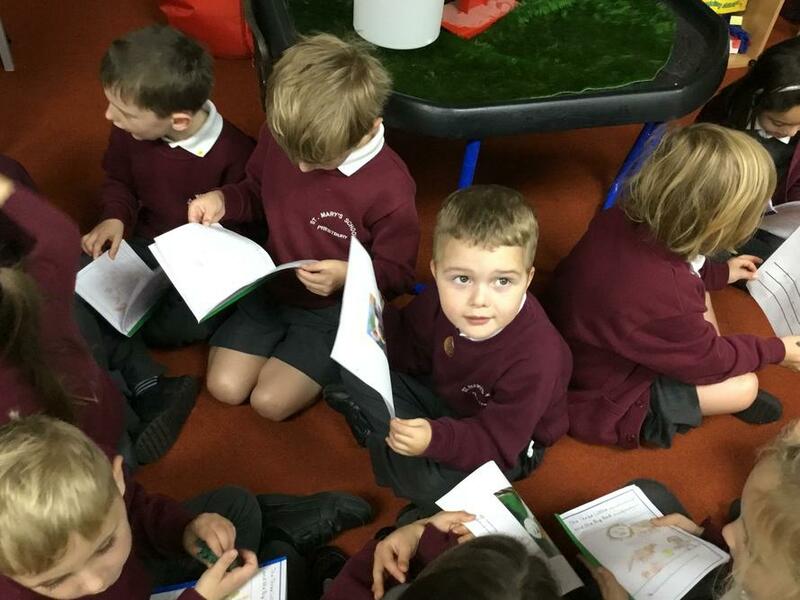 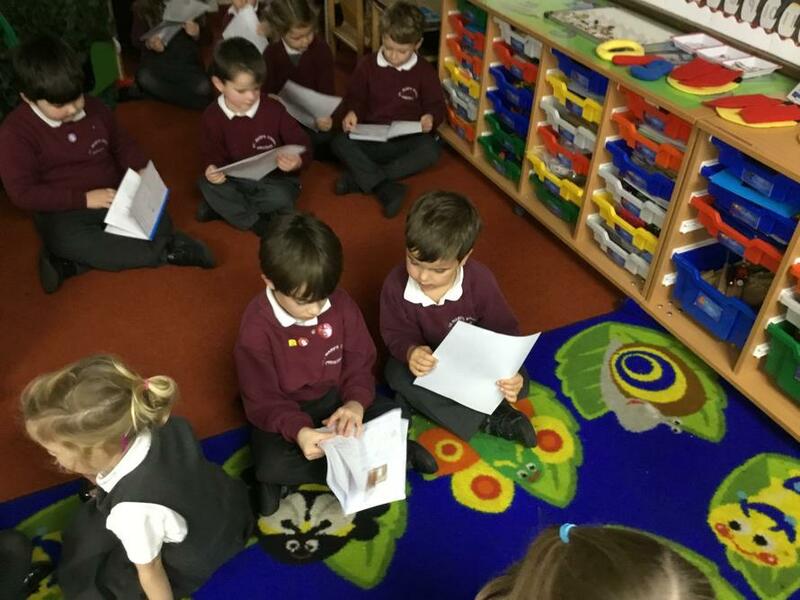 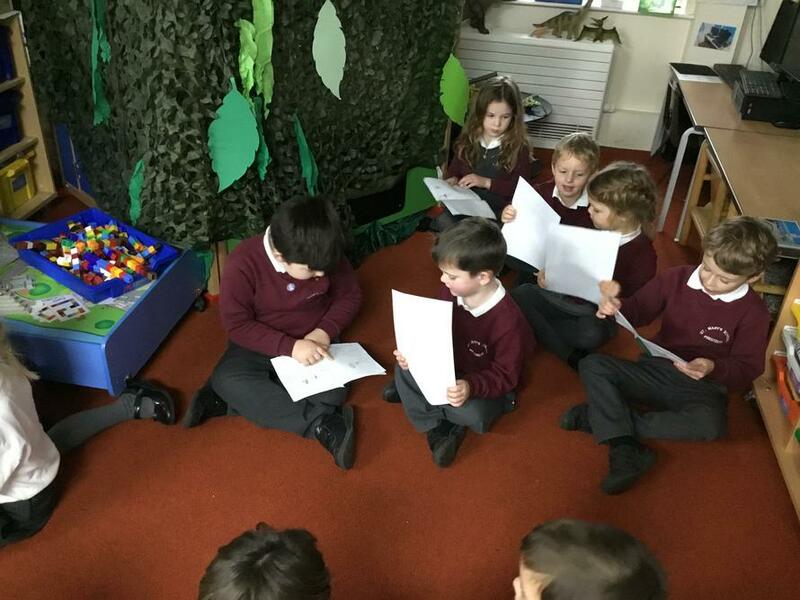 Orange class children also brought their super innovated stories of The Three Little Pigs with them too for us to look at. 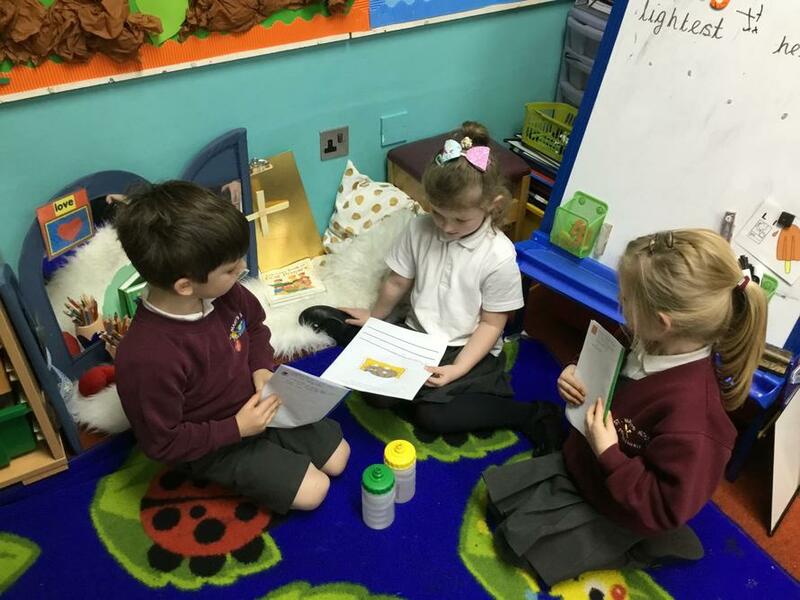 Miss Blay and Miss Angus were very proud of us all for working so hard and sharing positive comments about one another's work.